Jo Peterson is the VP of Cloud Services for Clarify360, a boutique sourcing and benchmarking consultancy focused on transforming technology into business advantage by providing custom, end-to-end solutions from a portfolio of more than 170 suppliers globally. As an engineer and leading industry expert, Jo sources net new technology footprints, as well as, optimizing and benchmarking existing environments. Jo is a 20 year veteran in the technology field with tenure at MCI, Intermedia/Digex Communications, Qwest Communications, now CenturyLink/Savvis in both pre-sales technical and selling roles. She holds an MBA with an E-business concentration, as well as, a Bachelor of Science in Computer Information Systems. Jo is the founding CoChair of CloudGirls (www.cloudgirls.org). 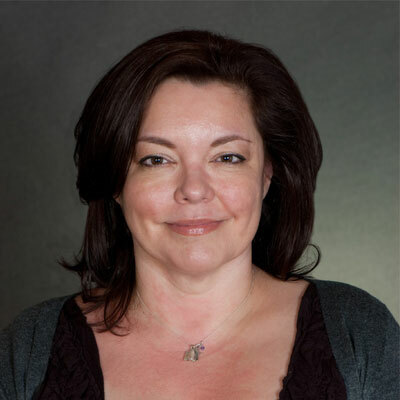 She is a 2016/2017 CRN Women of the Channel recipient.and currently serves on the Channel Partners Board, as well as, the Rackspace Partner Advisory Council. Consistently ranked as a Top 100 Cloud Influencer by Rise Global and Top 100 Key Influencer in IoT by Global Data, Jo is also a featured keynote speaker on topics of cloud architecture, procurement and management, fog computing, software defined networks and IOT Jo has spoken at premier industry events such Channel Partners Expo, IoT Emerge 2016, Container World 2017, and LiveWorx 2017. During 2017, my team had a goal to build a viable set of security offerings for our clients. We actively explored and engaged emerging vendors with both a security and channel focus in the areas of analytics and vulnerability management, endpoint security, identity and access management, network and infrastructure security and encryption solutions. By creating a focused security practice, we've been able to uncover opportunities in even some of our existing customers. This was a positive surprise to us and our vendor partners because the decision makers for security products are often different than our existing IT contacts at these same firms. To continue to explore next gen vendor opportunities in areas like IoT, Edge Computing and other emerging technologies. We feel strongly that one of our jobs is to help clients solve business challenges through the use of both established and emerging IT solutions. Consistently ranked as a Top 100 Cloud Influencer by Rise Global in 2017 and Top 100 Key Influencer in IoT by Global Data. Also recently ranked a Top 100 Female Tech Influencer by Onalytica. But the most meaningful for me has been creating and presenting the Cloud Girls Rising Award at Channel Partners. Cloud Girls honors two women in the Channel--a Trailblazer and a Rising Star. This will be our third year presenting the award. It has been such a rewarding experience to honor these women. Well, I hope its okay to name two. Janet Schinjs, the EVP at Office Depot and Tamara McCleary, the CEO at Thulium. Both of these women executives have been kind enough to mentor me. What's amazing to me about both of them is that they could easily say that there wasn't time in their schedules for mentoring, yet each of them have been gracious enough to make time. The thing that strikes me most is that mentoring is an act of kindness and this act speaks less about me and more about their character. Oh, I'd tell that young girl so much. I'd tell her to surround herself with people that lifted her up, made her laugh, made her think and brought her joy, because the 5 people you spend most of your time with are the ones that influence your thoughts and actions. I'd tell her that even if you lose, you learn so keep learning. More than anything I'd tell her to worry less and to believe in herself more. Take a seat at the table like there was a place card with your name in front of the chair! Last year I invested in myself by learning Twitter. I met lots of interesting people and learned the platform. Every morning, with coffee, I participate with a community of folks from around the world. Its been such a fun experience and a great way to get a little peek into the global tech window. This year, I want to focus on female tech influencers in emerging technologies like Blockchain, IoT, AI, etc, especially up and coming younger women in these spaces. This is our future. Its exciting to see where they are headed. Tribe of Mentors by Timothy Ferris. Its a combination of tools, tactics and habits from 130 top performers around the world. Its a call to action. The common thread of the book is that these leaders have spent time not only finding themselves but creating themselves. Inspiring to say the least.